Custom eagle shape bottle opener keychain with carabineer can easily uplift your campaign to dizzying heights with its encouraging functionality profile and shape. This multipurpose token can be used as a bottle /can opener and key holder. 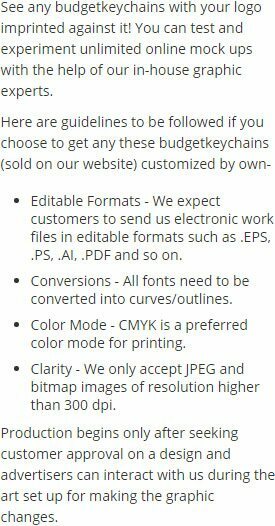 It is developed to last longer than regular multipurpose keychain, which means your brand information is going to hog limelight for long. 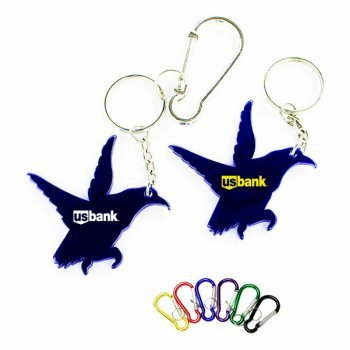 Being small, a user can easily manage them within bag packs, belt loops or purses.Request a quote to know about discounts that can be sought on bulk orders of customized eagle shape bottle opener keychain. Features – Eagle shape bottle opener keychain in aluminum with metallic color finish. Available color - Metallic Gold, Metallic Black, Metallic Red, Metallic Blue, Metallic Silver and Metallic Green. Product Size – 2 3/4" x 1"
Imprint area – 13/16" x 7/16"
Imprint Area :13/16" x 7/16"
Product Size :2 3/4" x 1"